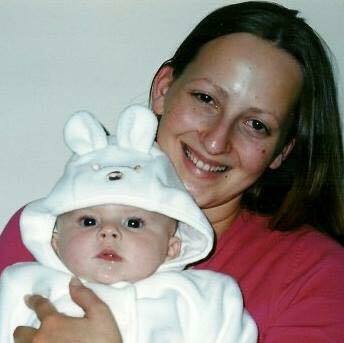 “At 01.06 hours on Tuesday 12th February 2002 my life changed forever when my beautiful and much wanted daughter came into the world. It had been a long labour which started on Sunday 10th February around 8am. The term for such a protracted labour, I now know being a midwife, is spurious labour. I was 24 years old and had never experienced pain like it before in my life. I was also very scared and anxious. The staff were lovely and very attentive. I received very good pain relief in the form of an epidural. This was not in my birth plan, but nothing much about my birth was in ‘the plan’. I felt very much in the hands of the professionals and very much out of control. When the decision was finally made at around midnight to deliver my baby with rotational forceps in theatre, I was scared – but relieved. At delivery, she was held up very briefly by the obstetrician who quickly said ‘here’s your baby’. At this point (still none the wiser if I’d had a boy or a girl) a bloodied limp little person was hurried off into a room just off main theatre. It seemed like an eternity until I heard her first cry. My husband then brought this beautiful little creature to me wrapped in a towel and said ‘we have a girl’. My entire pregnancy I was convinced I was having a boy but the moment I saw her – I didn’t care. She was my girl. My baby. My Niamh. 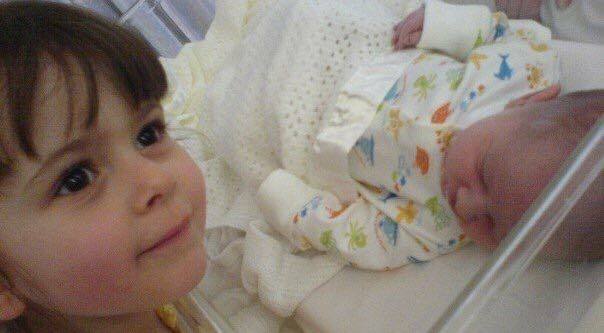 In the days and weeks that followed my bond with Niamh grew and I loved her so much I didn’t want to put her down. I bought a sling and carried her round the house with me all day, everyday. However, I increasingly felt sad and almost bereaved. I felt strongly that I hadn’t actually given birth to her. Instead it felt like she was taken out of me and my dream of a natural birth where I had immediate skin to skin contact with her was crushed. I also hadn’t managed to breastfeed her as well or as confidently as I wanted to. She cried a lot and there was times nothing I did settled her. I just felt like I was a failure as a mother. Still, I continued on believing that I couldn’t possibly have PND because women with PND didn’t love their babies and had no bond with them. At least – that was portrayed on TV shows and, naively, that’s what I believed. The more time that passed the more my symptoms worsened. I didn’t eat properly, didn’t sleep. If I did manage to sleep, I would wake at 4am with crippling anxiety to the extent my teeth chattered together involuntarily. Extreme paranoia began to set in too. I was going out of my mind but felt that I couldn’t say anything for fear of my daughter being taken away from me. At my lowest point I called The Samaritans because I seriously contemplated ending my life. I don’t know who that person was at the other end of the phone but I owe them an awful lot. After a 2 hour phone call, I went upstairs, stood at the end of my daughter’s cot and sobbed. I think the gravity of what I’d contemplated had hit me. It was at that point I told my husband how I’d been feeling. 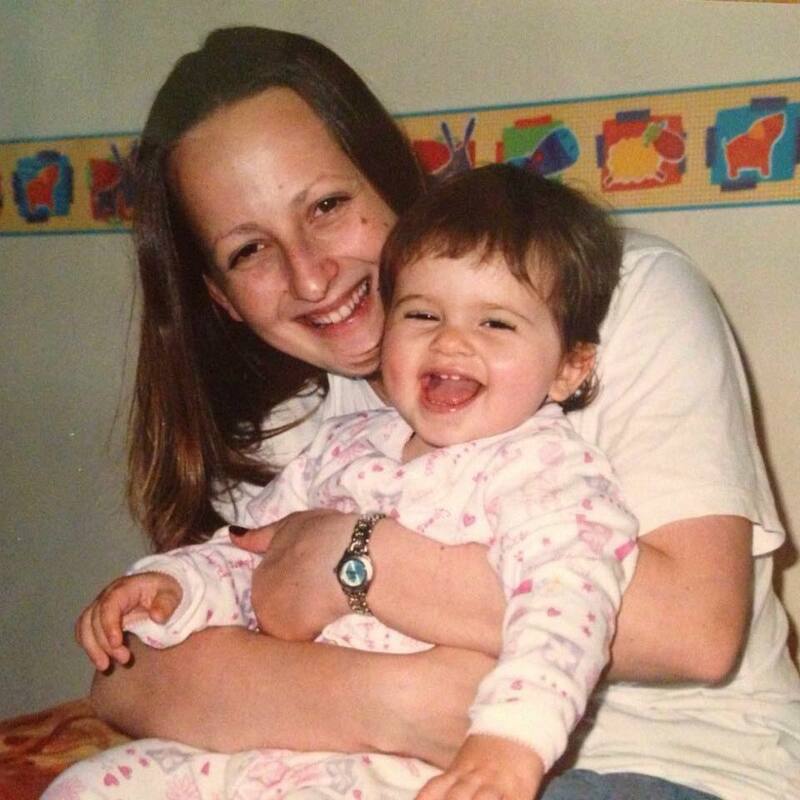 Niamh was 10 months old and I’d managed to hide my illness for all that time. I was exhausted. He took me to the GP the very next morning. My GP wanted to admit me for inpatient care but I begged him not to. With hindsight, it probably would have been the right thing to do – but that’s another story. I was started on medication and had counselling. The days and months that followed were some of the darkest, toughest times of my life. I got through them with the help of my husband who, at the age of 22, was quite simply remarkable. I don’t know how he coped but he did. He was mum and dad to Niamh for a long time. His work were very understanding – giving him time off and allowing him to work from home. Some days when I had first started my medication, I couldn’t even get out of bed. In 2004, when I truly felt like I had came out the other side, so to speak, I knew I wanted to do something to help women like myself. That was the start of my interest in midwifery. Unfortunately, later that year and in 2005, I suffered miscarriages which again deepened my longing to work as a midwife. Fast forward to 2017 and I graduated from Queen’s with a First Class Hons degree in Midwifery. I work as a midwife in Royal Jubilee Maternity and perinatal mental health is never far from my mind. I fully intend to specialise in this area further into my career. My ‘baby’ is now a beautiful young 16 year old attending one of Belfast’s top grammar schools and studying for GCSE’s. She was joined by her brother in 2006, who is also now about to start secondary school. Despite her beginnings, Niamh is one of the most confident, well adjusted people I know. I can’t put into words how proud of her I am. My biggest fear was that she herself would end up with poor mental health. She did suffer a brief spell of anxiety when she was around 14 but this was due to friendship difficulties at school. 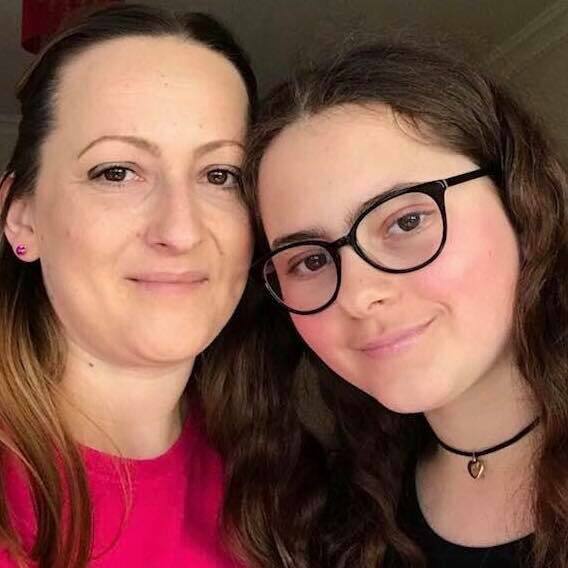 She was seen by the CAMHS team who were fantastic, and it’s all behind her now. At my lowest points in my illness, I could never have imagined feeling better and making a success of my life. I just want women who are suffering PND to know that there IS light at the end of the tunnel and you WILL feel better again. Thankfully, perinatal mental health services are a lot better now than they were in 2002, but they’re still nowhere near what they should be. However, the fact that people are more aware of PND now and they openly speak about it is brilliant. Back then, I felt overwhelmingly that I was alone. Blogs like this one and similar online forums at least make women feel like they are not alone. 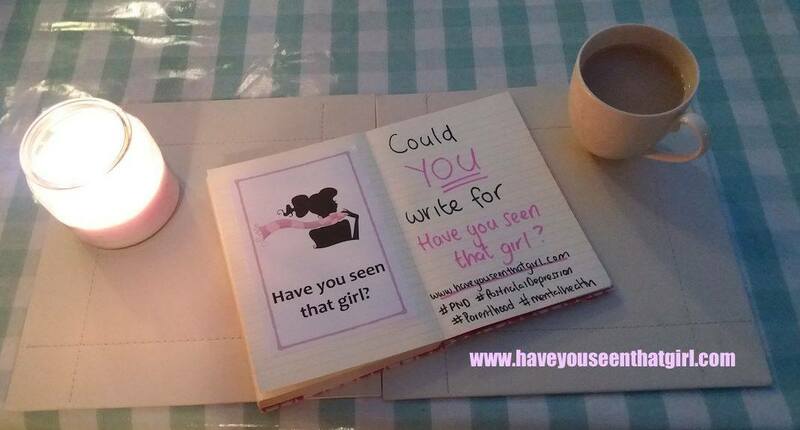 Would you like to write a piece for Have you seen that girl? If so, email me at haveyouseenthatgirl@outlook.com and we chat chat!